Visiting Super yachts are liable to pay duty only on the alcohol brought in onboard the vessel and consumed while in the country. You will need to submit an inventory of all alcohol on board upon arrival. This will need to include brand, type, % of alcohol and quantity and measurement of each bottle (see example in box). Also required is an inventory of all controlled medical supplies on board. 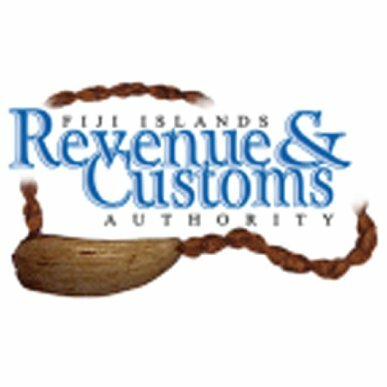 At the end of your visit, you are required to submit an updated inventory of your on board alcohol to customs who will charge import duty for each bottle brought in and consumed while cruising Fiji waters. Please be warned that while this is all in good faith, spot checks are not uncommon and any false declarations may incur a serious fine and penalties. 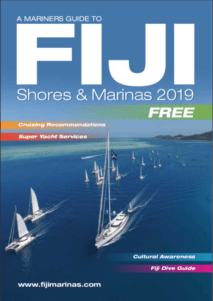 All yachts and crafts entering Fiji are subject to import clearance requirements and the payment of customs duty on arrival. Together with the completed C2-2 Form ‘Advance Notification/Inward Report For Yachts/Small Craft‘ the Yacht Master is required to also present the Clearance from Last Port, passports and completed ‘Passenger Arrival Card‘ of all crew and passengers and all such individuals (including infants) to Customs at time of boarding. You will need to inform Customs of any disembarking crew and reasons for disembarking. You will also be asked to complete and sign a ‘Notice to Owner of Yachts Declaration‘ before your inward clearance is granted. You will need to read and understand the contents of the Notice to Yacht Owners as any breach of any conditions may warrant heavy penalties. If you are carrying any currency and its combined value is equivalent to FJD$10,000.00, you will be required to fill in the ‘Border Currency Report‘. The yacht shall remain in Fiji for a period not exceeding 18 months from date of arrival. The yacht is not exported within 18 months of the date of arrival into Fiji, unless a customs extension has been approved. To apply for an extension, you need to apply to the Department of Immigration. (Any combination of the above provided that it does not exceed the equivalent quantity under liquor, wine and beer, cigarette, cigar and tobacco). AND 8. A new, unused item valued at no more then F$1000. Any excess to the above allowance will be subject to levy of import duty and VAT or goods being detained by Customs. Please note that sealing of stores onboard is not permitted. All equipment onboard or imported especially for the yacht will be duty free, provided they leave the country with the boat. This equipment is considered onboard a “yacht in transit” and should be labeled with the yachts name and Rotation Number, in addition to an address including a telephone number and the invoice must accompany the package. The parts will be delivered ‘under bond’ to the yacht by a Customs Officer and you will be required to pay for the Customs Officers return transport costs for this service. Be sure to keep records and receipts of any such delivery. The importation of firearms and weapons is strictly controlled in Fiji. All firearms or weapons must be declared to the Customs Officer on arrival of the vessel from overseas. Firearms onboard will be detained and placed for safekeeping by the Fiji Police who will hold them until the vessel’s departure. Please be aware that Fiji is vigilant in prosecuting those found with, drugs pornographic material and other prohibited items. Note: You will be subject to heavy penalties under the Customs Act for any breach of the conditions of cruising. Immigration: No charge unless a visa is required. Customs: No charge. However, overtime will be charged for clearance during lunch hour (1-2pm) on weekdays at $27.40. After 16:30 at FJ$18.40 per hour; Saturdays, Sundays and public holidays, at FJ$25.55 per hour. After 20:00 to 06:00 weekdays, and on Saturdays, Sundays and public holidays, there is a three hour minimum charge. Biosecurity Clearance: FJ$89.70 (which includes fee for incineration of prohibited food). Overtime rate of $182.39 applies outside of office hours. Important Note: Please keep receipts for payments made in a safe place for departure requirements.